New England Patriots at Baltimore Ravens on Sunday, December 22th, 2013 at 4:25pm eastern time in M&T Bank Stadium, Baltimore, Maryland. This is the first time these two teams are meeting each other this regular season and the Ravels playoff chances are on the line. This is a must win for Baltimore. New England Patriots is coming off a 24-20 lost against Miami Dolphins, 3-2 in their last 5 games, and a record of 3-4 on the road. In order for the Patriots to clinch the AFC East division they must win this game and the Dolphins lose theirs. Given that the Miami Dolphins at Buffalo Bills may swing the Dolphins way. The Patriots will need to look towards clinching the first round bye week of the playoffs. For the New England Patriots to clinch the first round bye of the playoffs they will need to best the Ravens and Cincinnati as well as Indianapolis lose their games. If the Bengals lose their game against the Vikings, the Patriots clinch a playoff spot. Baltimore Ravens has won their last 4 games out of 5, the last game against Detroit Lions, the Ravens won solely from their kicker Justin Tucker who made 6 field goals for a 18-16 victory. Another performance like this from the Ravens offensive and they will not win this game. Joe Flacco will need to step it up as well as the offensive line if they want to win the game against the Patriots. Baltimore will clinch a playoff spot with a victory against New England and the Dolphins as well as the Chargers losing their games. My prediction is that the Patriots will end the Ravens winning streak. 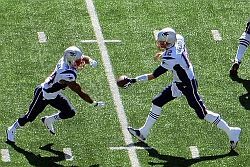 As long as Tom Brady plays well, something he hasn’t really done against the Ravens and the defense step it up. The Ravens offensive was pretty weak last game and I know they will step it up this game but New England is a team you can’t sleep on. Baltimore Ravens are 2 point favorites in this game, however, I will be risking 2 units on the Patriots to cover the spread.